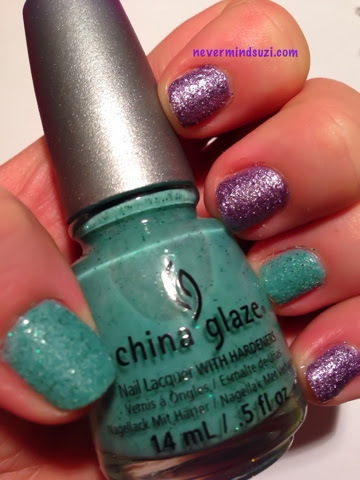 Here are another two of China Glazes Sea Goddess polishes. Tail Me Something is an amethyst purple, it just sparkles like a gemstone! It's also got that nice glittery textured finish. 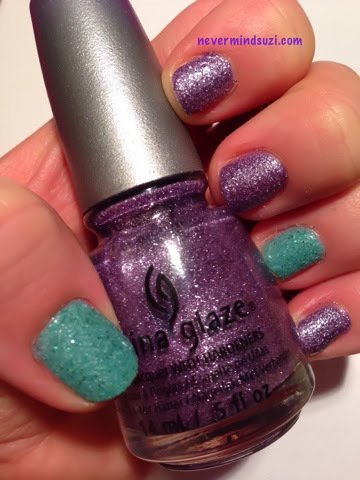 Teal the Tides Turn is a slightly different finish, a light teal creme with a teal matte glitter. This is a flatter finish than the others. I'm really loving Tail Me Something, it's lush! !